Polemical treatise by Isaac b. Jacob Sasportas against David Mendes da Silva on the value of private prayer, and an answer of the latter. Amsterdam, 1720. Hebrew / Paper / 22,1 x 13,9 cm. / 27 + 7 ff. 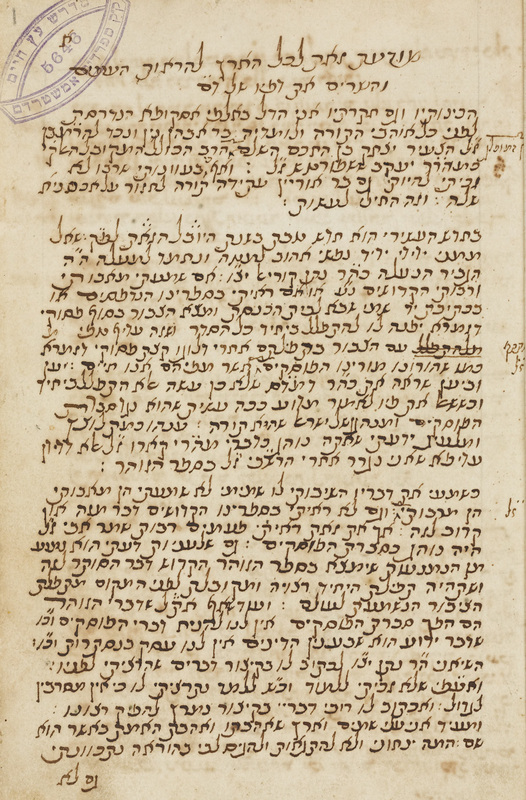 / Sephardic cursive writing (autogr.) / This manuscript seems to be unknown and was not mentioned by M.B. Amzalak, Um manuscripto inédito de Isaac Sasportas, rabino de Amsterdam, no século XVII, in: Revista de Estudos Hebraicos, I, Lisbon, 1928, p. 57 sqq. Fuks 247 (incorrectly referred to as 47 D 1). Kaplan 54.